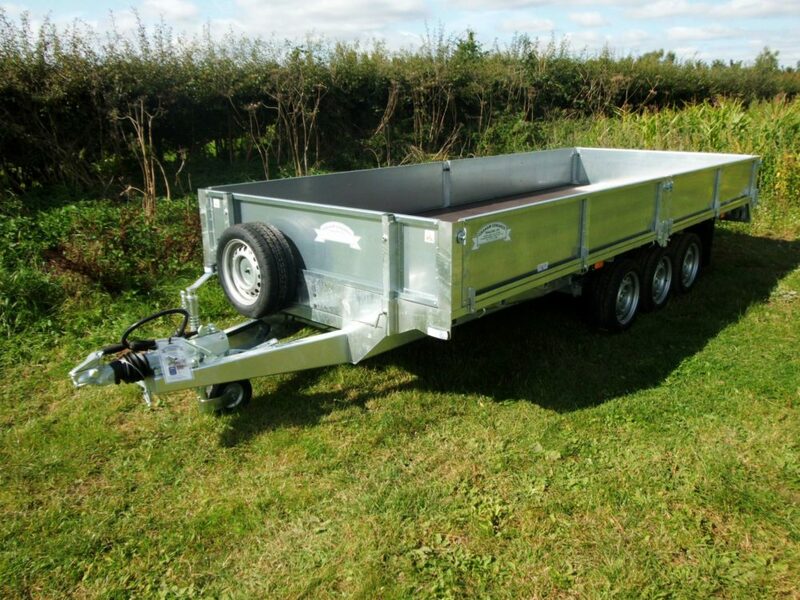 Our flatbed trailer range offers 14 different models plus countless more optional extras. 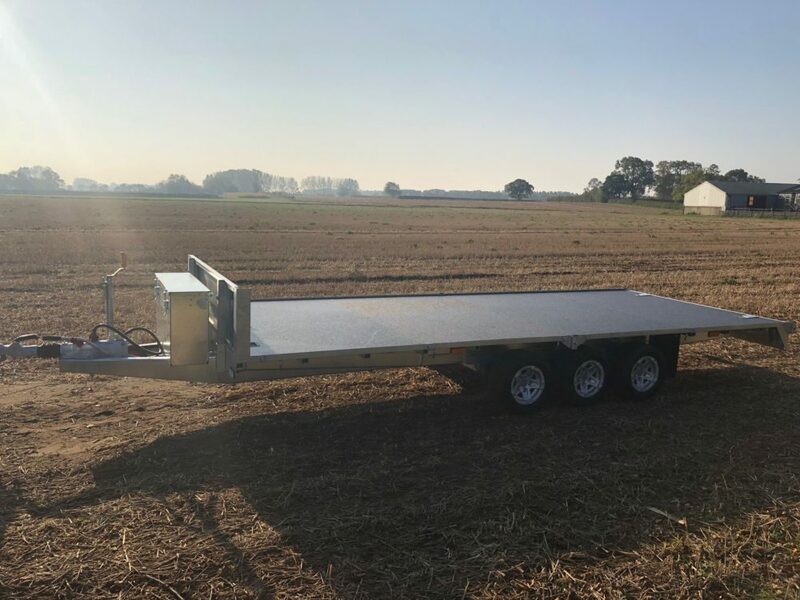 Whatever length or width you need, whether you want a beaver tail or a tilt bed, a cover or extension sides we have a tri-axle flatbed trailer to suit your needs. 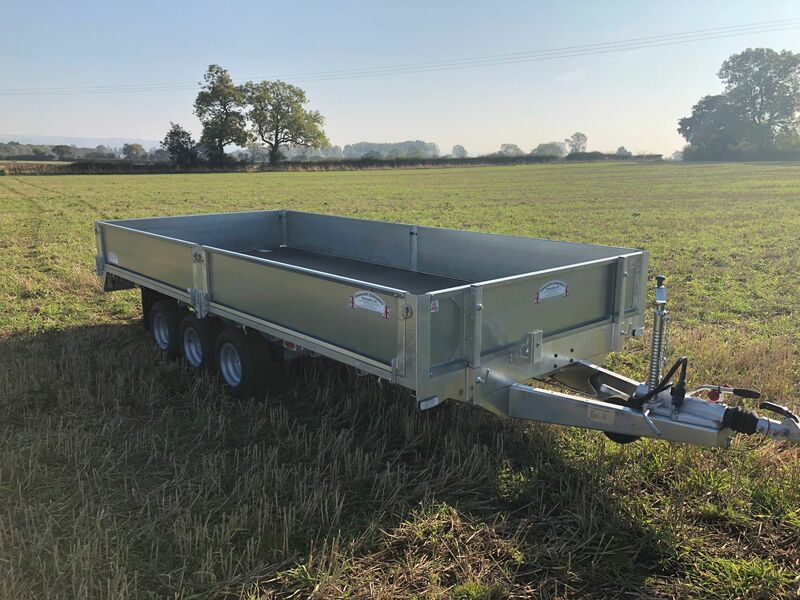 By choosing a tandem-axle flatbed trailer or tri-axle flatbed trailer, fitted with 195/55 R10 wheels and tyres, you are purchasing the UK’s lowest bed height flatbed trailer commercially manufactured. 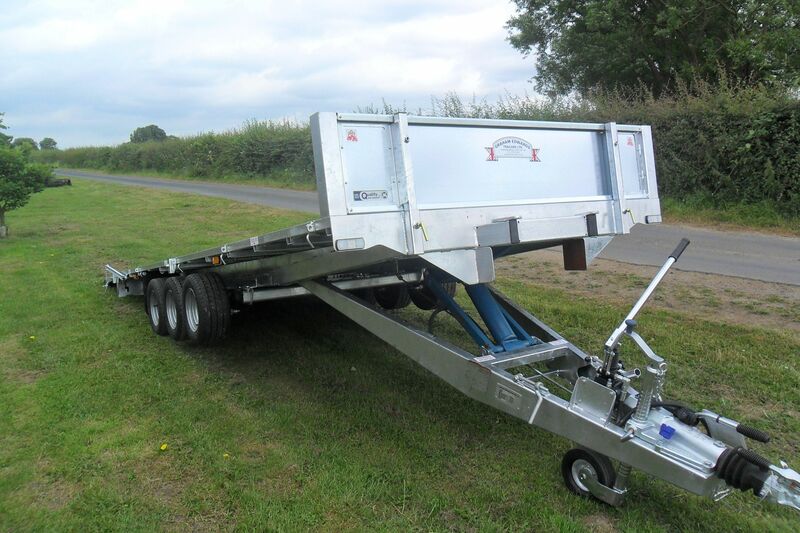 All of our tri-axle flatbed trailer range have a strong and rigid fully galvanized frame. Which is then fitted with rubber suspension axles complete with auto reversing brakes. All tri-axle flatbed trailer couplings are fitted with head locks and heavy duty jockey wheels. Also our flatbed trailers have protected light fittings with double seal wiring looms providing a quality long lasting lighting system. 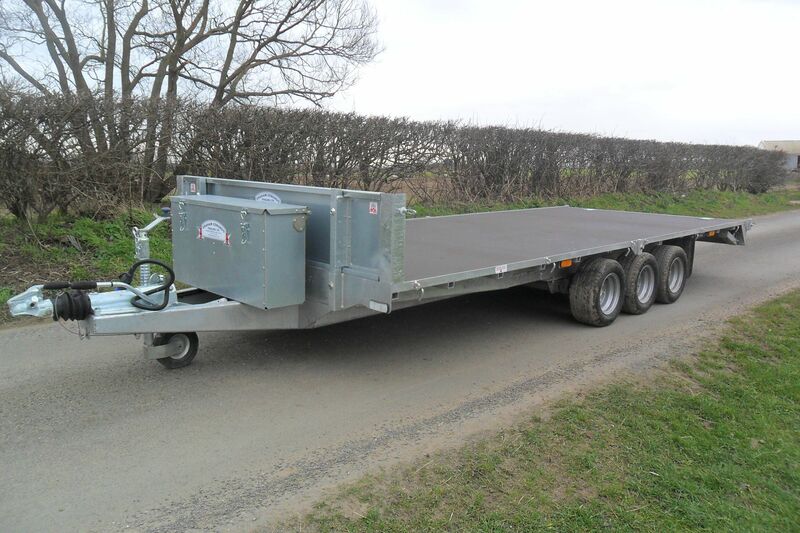 The standard tri-axle flatbed trailer range has a very high specification and are designed to provide an exceptionally long service life.